N. Gordon Thompson is a founding member of TD Capital Management LLC and serves as our Managing Member. In this position, he is responsible for management of all firm operations including oversight of the investment and compliance committees. 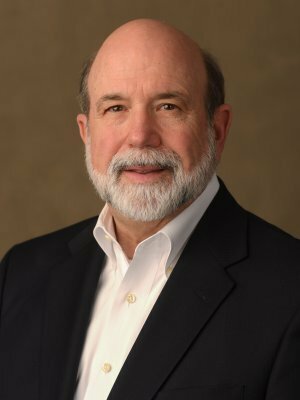 Since inception, Gordon has served our clients as a Senior Wealth Advisor providing them with income tax and financial planning, retirement planning, and multi-generational estate planning. In his individual capacity and separate from his work with TD Capital, Gordon also serves as a designated trustee for a number of high net worth families. Gordon has been a practicing Certified Public Accountant in Memphis since 1977. During his career he has concentrated on tax matters related to business owners, professionals, and corporate executives, as well as developing business succession plans, negotiations on behalf of clients with outside financing sources, valuations of professional practices and closely held businesses and appointments by courts to oversee the financial affairs of parties in litigation. Until 2010 he served as the Managing Member of Thompson Dunavant, PLC Certified Public Accountants and its predecessors. Thompson Dunavant PLC joined CBIZ MHM in 2011, one of the top ten accounting and tax providers in the United States. Gordon remains affiliated with CBIZ MHM providing selected clients with tax, financial consulting and mediation services. Gordon serves on the Board of Directors, as well as on the compensation and audit committees of Evolve Bancorp, Inc. (the holding company of Evolve Bank and Trust and affiliates). Mr. Thompson has been quite active in civic organizations, serving as past President of the Board of Trustees for Memphis Museums, Inc., former Director and Finance Chairman of Leadership Memphis, former Director and former Chairman of the Finance Committee of Memphis Leadership Foundation, former Board Member of The Community Foundation of Greater Memphis, and Chairman of the Audit Committee. He serves on the Advisory Board of the University of Mississippi Patterson School of Accountancy. He enjoys spending his free time with his family and welcomed his second grandchild in February of 2018.